Department of Health and Social Care introduces Scan4Safety to revolutionise patient care. GS1 standards allow clinical staff to build a complete patient picture that is easily accessible. Increased data visibility can aid efficiencies in catalogue management and staffing. The Department of Health and Social Care (DHSC) needed to support the NHS in improving the delivery of patient care through process standardisation and efficiency. staff organisation, and standardised purchasing could make a huge difference in the way the NHS operates. It calculated that these changes could contribute to cost savings of up to £5 billion per year. But with varying degrees of readiness across NHS trusts, the challenge to roll out a completely new system across the service was huge. With support from GS1 UK, the DHSC announced six NHS acute trusts in England that would act as Scan4Safety demonstrator sites. £12 million of funding was made available to the six trusts, and teams were asked to focus on three core enablers: patient identification, catalogue management, and location numbering. In addition to this, three use cases were highlighted including purchase to pay, inventory management, and product recall. regulators from across the UK. This team would support all activities in order to ensure success. "GS1 standards enable everything that happens to a patient to be recorded accurately and with minimal impact on patient or clinical staff. " 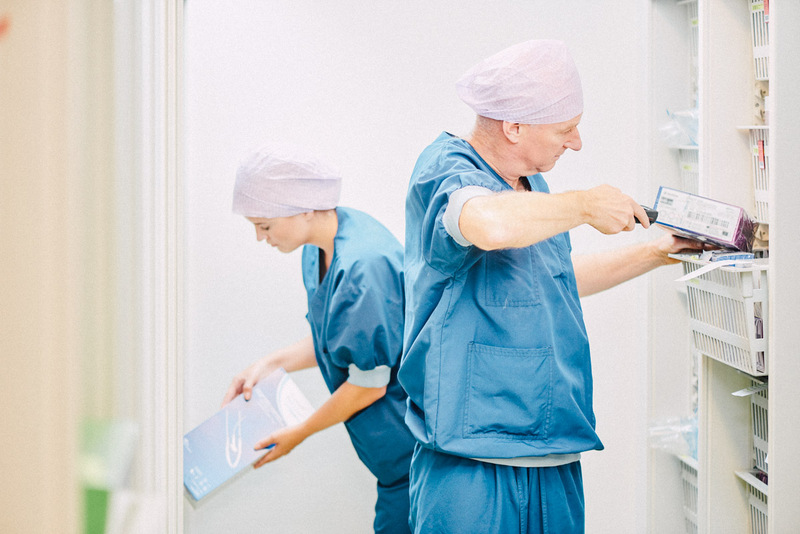 The adoption of the Scan4Safety initiative clearly demonstrated that GS1 standards are key in building a more efficient, future-proofed NHS. Through the use of barcodes and handheld scanners, clinicians are provided with an accurate and real-time record of exactly who did what to the patient, when it happened, and where it took place. Hosting patient data electronically and accessing it via barcoded wristbands means that any potential problems can be flagged before they happen. For example, if a patient is mistakenly prescribed a treatment that does not tally with their record, the scanning device will flag it immediately.